because of much movement of vehicles like forklift or distribution. 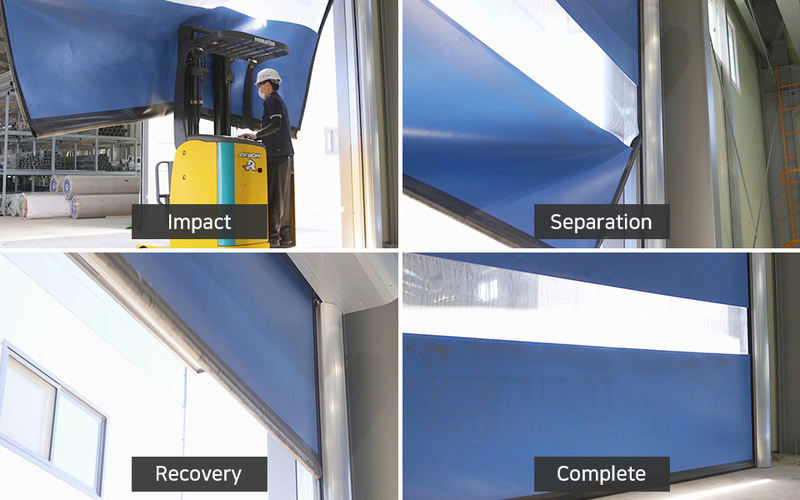 automatic recovery with no extra repair cost. This zipper type door has strong sealing power. Therefore, it remains closed strongly. 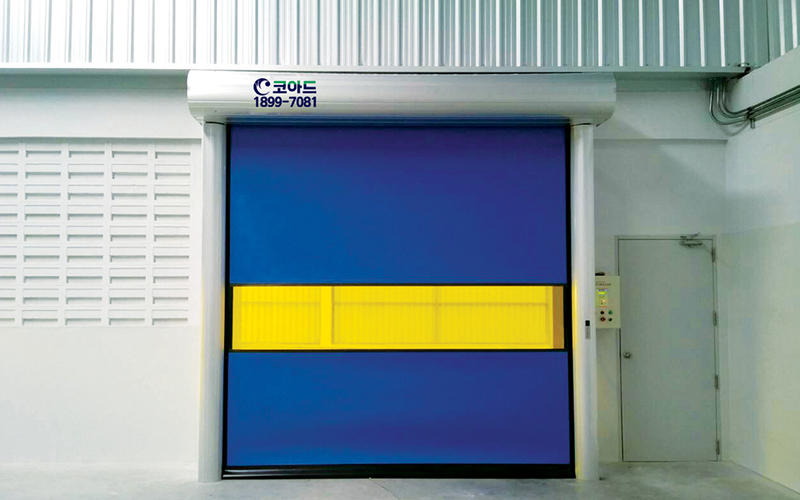 This door is particularly good for electronic and automobile industries. door curtain is separated from the axis of collecting the curtain. to minimize the inflow of impurities and external air.